Entire BHS gym sings national anthem at rally! After the mics go out, the entire BHS gym rallies around choir singers and helps sing the national anthem. 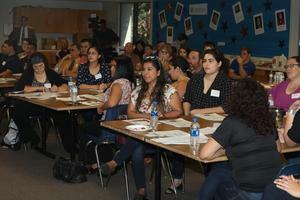 Parent and community engagement enhanced with new district mobile app. Download yours now for free! 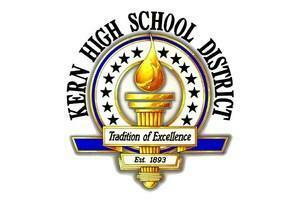 Search for Kern HSD in your iTunes or Google Play to receive a constantly updated feed of district & school site news. Customize the app by selecting the schools you are interested in! Twenty prospective teachers were selected to participate in a Teacher Residency Program through CSUB and the Kern High School District. 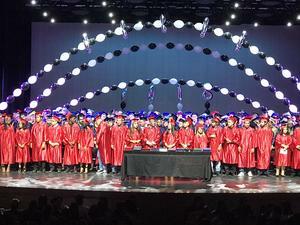 Congratulations to the 251 summer school graduates who were awarded their diplomas at the Harvey Auditorium on July 13, 2018! ROC 3-D animation students qualify for national competitions through SkillsUSA - with 2 students going on to win Gold! KHSD employees are in the national spotlight for innovative use of data to drive insight, decisions, and outstanding student outcomes. Watch the story recently featured in EdTech Magazine! Partnerships between industry and education are a staple of successful Career Technical Education programs. 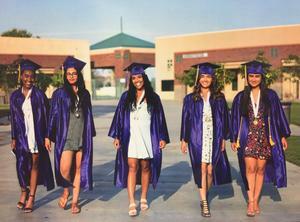 Please take a moment to read through the pages of the May 2018 KHSD NEWS, our electronic newsletter. This month we celebrate the Class of 2018, our dedicated retirees, and our commitment to expanding Career Technical Education opportunities for our students. 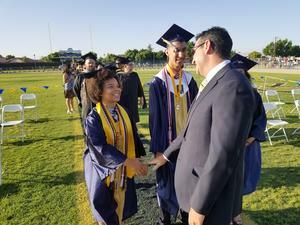 In the pages of our most recent newsletter, you will also read about incredible student and staff accomplishments, successful programs enhancing the lives of our students and communities, and recognition for our district on both the state and national level. This week we highlight the graduating Class of 2018, incredible student accomplishments, and the generous student and staff volunteers making a difference in our community!